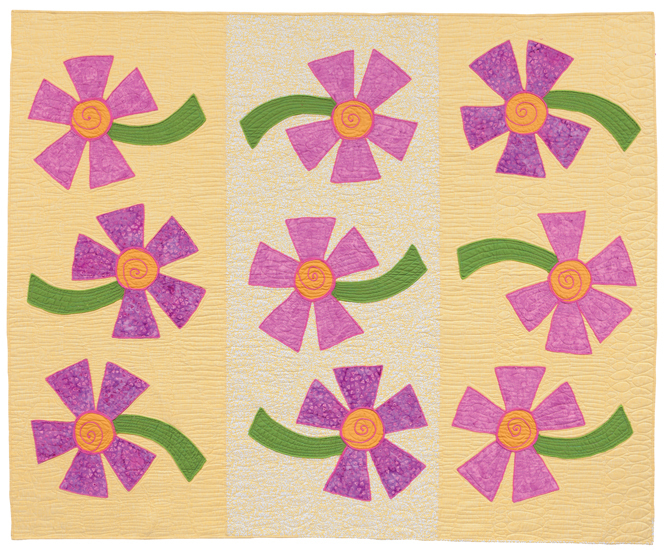 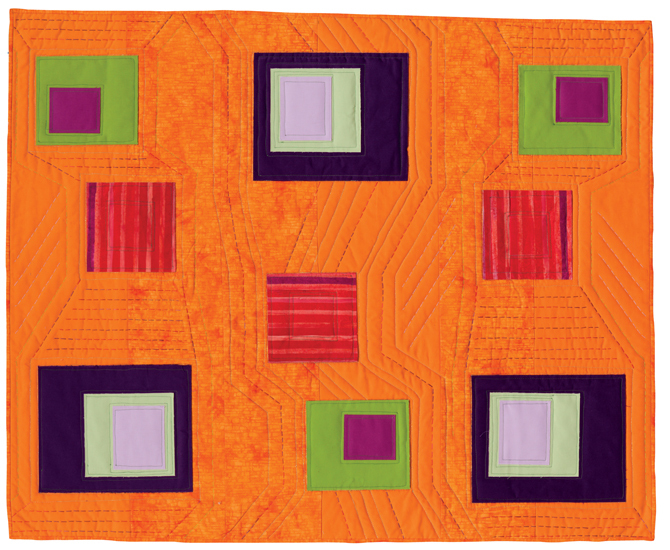 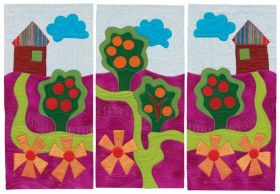 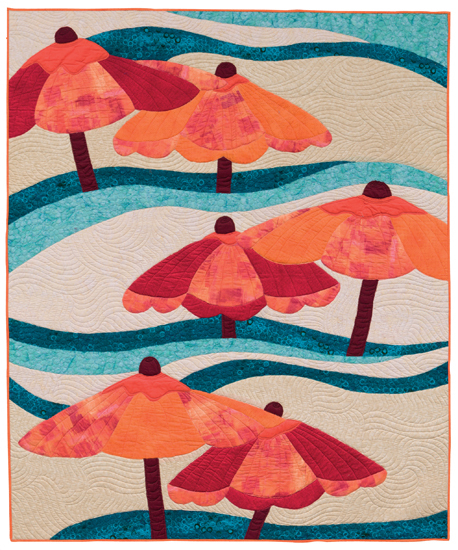 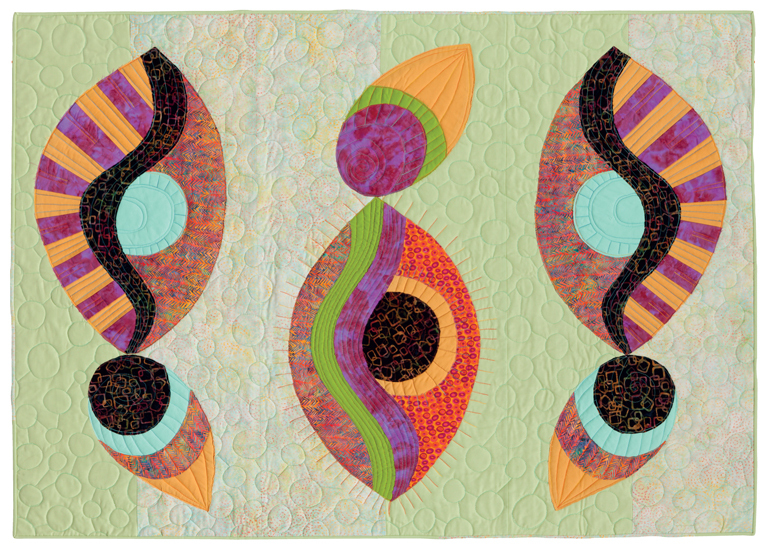 Create enchanting three-panel quilt designs with spectacular success using Rose's easy Fast-Piece Applique method. 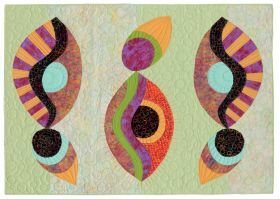 Beginners and experts alike will enjoy these 11 inspiring patterns from talented designer Rose Hughes. 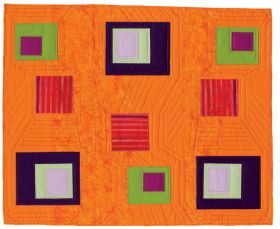 From the cover, this book caught my attention and once discovered simply flipping through the fabulous technique proposed. 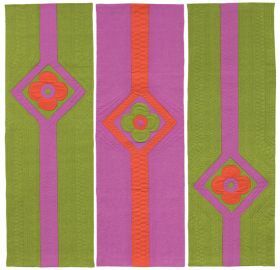 I enjoy when an author takes me through the pages of a book to explore certain concepts of color and design. 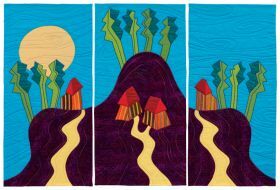 These concepts have traveled over time and what is interesting is the way they are presented here, giving them an air of novelty and freshness and especially by simplifying what is sometimes considered as a criterion that only artists could handle. In my personal opinion, this book is ideal for getting the most with my group of quilters, using each copy to talk and discuss design concepts, then perform some exercises that the author proposes to start it, start armed with this technique and sewing and finally executing the projects presented in detail in it. 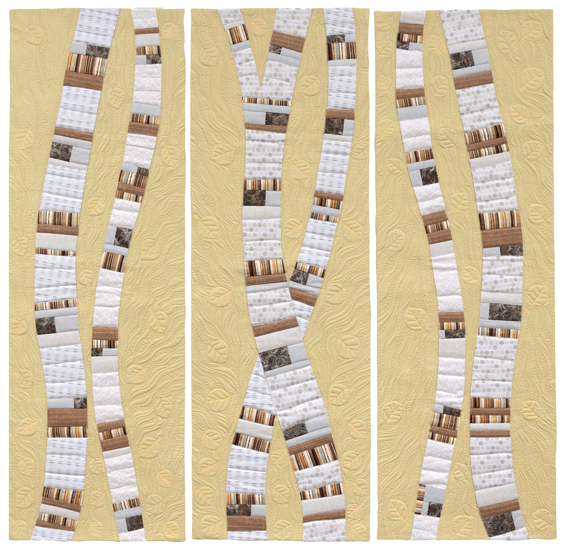 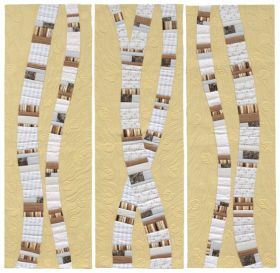 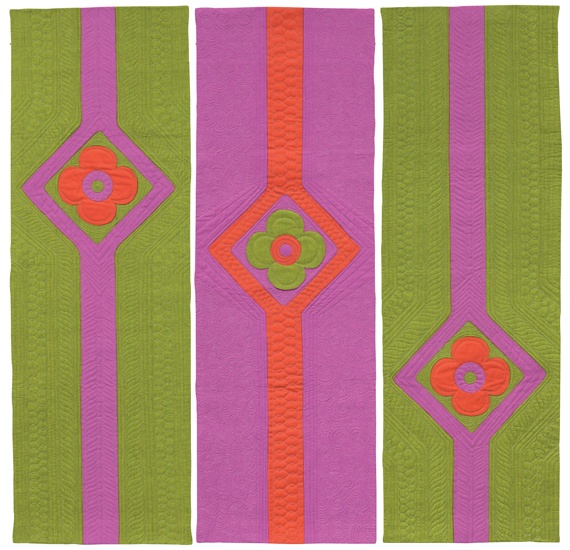 In addition to such modern designs with abstract and large ways, some of which are presented in threes--such as sections of three leaves--that spectacle of a wall today also offers the possibility of quilt make it in one piece. The text, supported by very clear images, makes the technique developed by the author easy to understand. 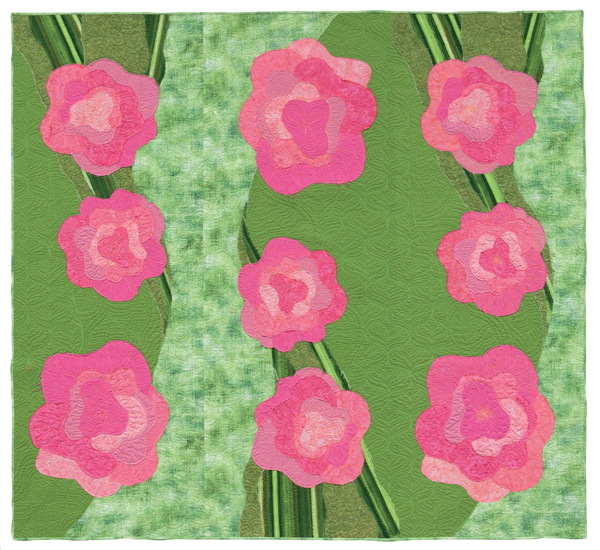 Been all weekend planning and reviewing my fabrics ... everything to start very soon! 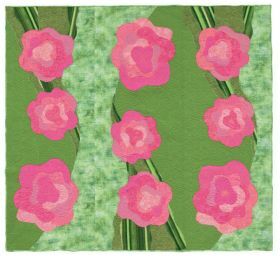 Rose has really pretty and artful designs with detailed essentials for applique techniques before you begin any project. 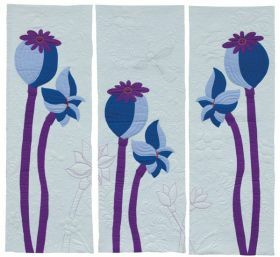 Hand and machine applique can be used, it is your choice. 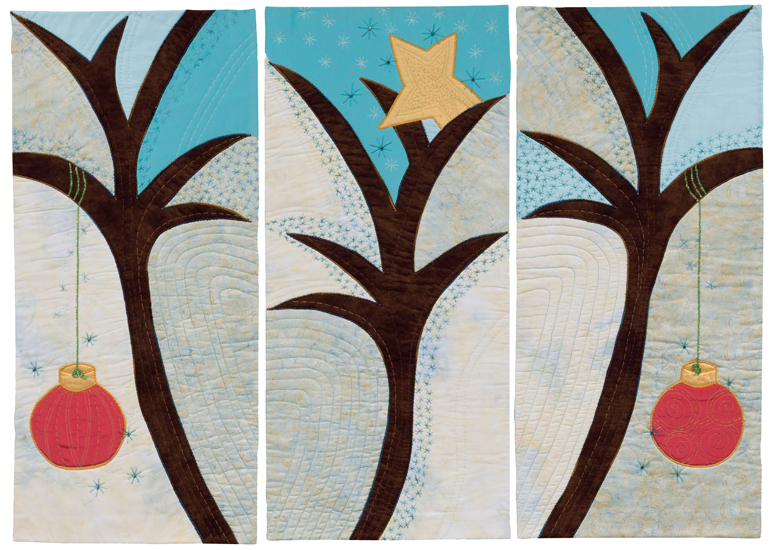 The panels are amazing, they need to be enlarged for the actual size. 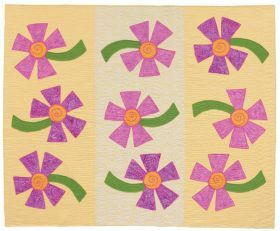 Eleven ideas are presented and the instructions are easy to understand giving the beginner a good foundation for appliqué techniques and ideas for fabric selection. 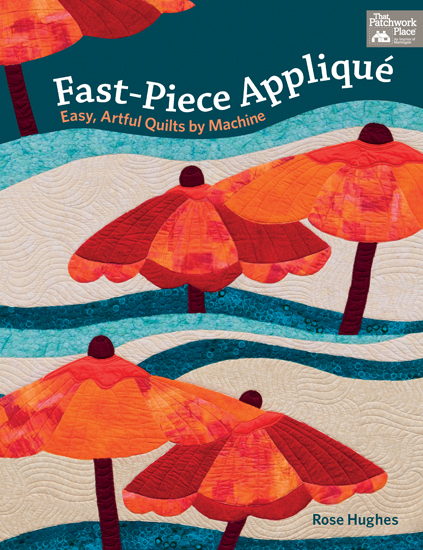 Quilters that love or want to learn applique should invest in this book.